Black Meghan CigaretteTrousers is rated 4.5 out of 5 by 45. Super-comfortable 4 way, non-iron, stretch fabric. 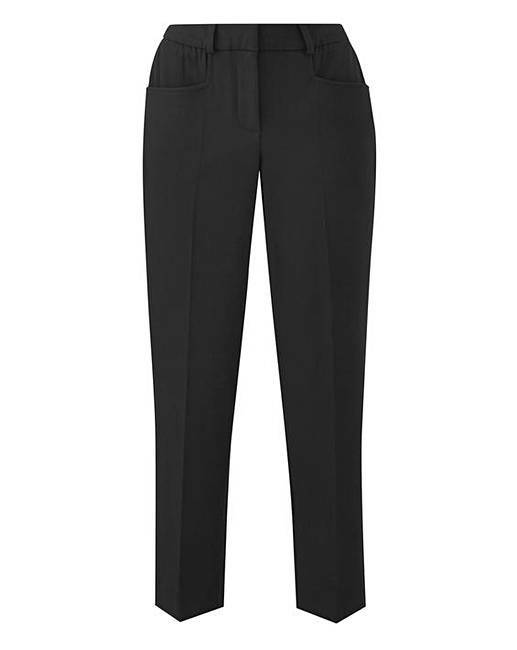 Power stretch Magisculpt panel insert and a secret stretch waistband which allows the trousers to move with the natural contours of your body throughout the day and retains the appearance of a flat waistband. Also available in (CR134) Red, (CR136) Cobalt, (CR137) Navy, (CR135) Dark Khaki. Rated 5 out of 5 by Kysa85 from Amazing! Best work trousers I have ever had! Fit is spot on and a great length for me. They make feel great!